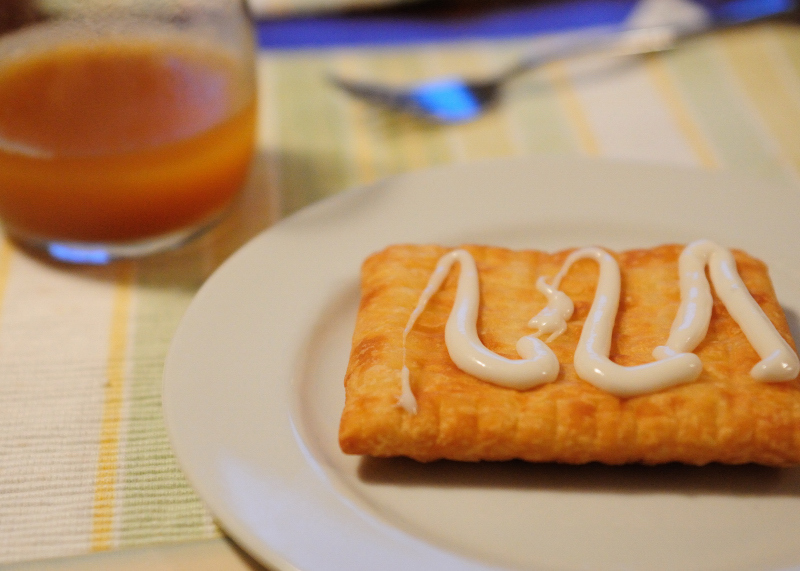 Toaster Strudel - that's the family's new favorite breakfast item, thanks to the sale at the grocery store last week. I bought a single package, which was scarfed up by Tuesday morning (because Toaster Strudel is not limited to breakfast - it serves as a tasty desert after dinner). And since Brian was home Tuesday due to an illness, I had to go out and buy two more packages (at the normal price, I might add). The kids and Scott are addicted. I need to find them in bulk! My kids have been eating these for years - they love them and usually have them as an after school snack.